Weblog of Dashmesh Pictures [V.1.1]: Alive and well, and married! Alive and well, and married! So it has been months since I actually wrote a post to this blog, whether it be my thoughts or items in the news that is of interest to me. I do however have good excuse. I got married. 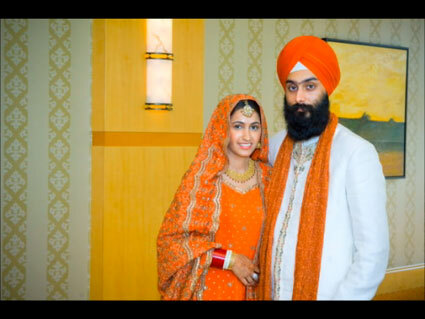 Yep, my biggest project that I have taken over the last eight months has been planning my marriage to the wonderful Supreet Kaur. From my side of the family, I was the one on point to plan and execute the the whole shebang. So whether it was meeting with various vendors or planning the actual reception, yours truly had many long nights to get the whole fun item created and up and running. So I’m sure you can forgive me for my tardiness. 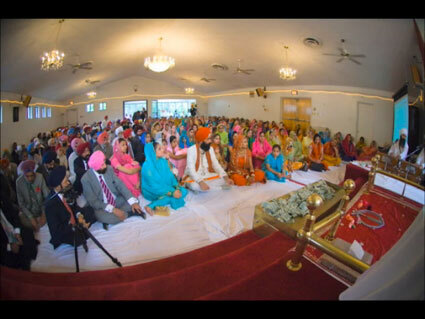 Below are some photos from the Anand Karaj event and lunch reception on the day of the wedding for you to enjoy. I’ll be sure to send the link out of all the photos once Mr. Glenn Barnett posts all of them online on Pictage. Getting on the horse was half the battle. Ahh yes, a moment of bliss. The fish eye shot makes the hall look packed... well, it was though. If I have time, I’ll devote one whole blog post to my ordeal on getting on the horse that was used for the Bharat. That damn thing was huge and it had no stirrups what so ever. I do want to give a big shout out to my boy Shane Gill of Jeeta Jatt and Where Not to do Bhangra fame who hooked up an awesome comical video that we played in the Sunday night reception. I’m in process to get it online so that you can see it, as it was another film project completed this year, along with the notoriously seen Nihang Singh promo videos on the SikhNet website for their Youth Film Festival. I’ll have to create two new web pages to showcase these. If you haven’t seen, all the video projects that I had on YouTube were pulled offline. I guess in the last couple of months, YouTube had a big crack down on videos that they felt violated copyright rules. I know for a fact that the parent company that creates Indian Idol complained over the video segment that I posted online of when they went to Punjab which showcased Punjabis dancing and singing near the grounds of Harimandar Sahib (Golden Temple to you Goras). Oh well, I’ll just start to looking for new alternatives for posting videos. Recently I’ve done a lot of research on SwishZone technology. Cheap man’s alternative to the Adobe Flash line. So that’s about it. In the next post, I’ll share some of the honeymoon pictures of Supreet and my trip to Kauai which was beautiful. Is there a way to embed pictures from Flickr into websites? I guess I’ll have to research that. Alright, I’m settled and ready to get back to more fun projects. I recently helped Ish and her team promote her new Sixth River project here in DC, and good ol’ Gurumustuk wants me to brainstorm some Blabber projects for the SikhNet online fund raiser. Man, it’s good to be back. Hopefully I can finally update Bhai Sahib’s website sometime soon. Video – Blue Sky Films. Check out there section on Indian weddings and be sure to work through Mr. Neil Benjers. Photo – Glenn Barnett. 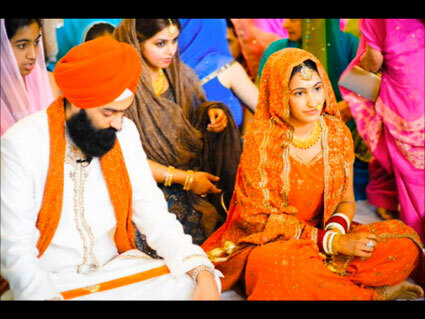 Check out his website as his team has covered a slue of Sikh weddings. Great team to work with and they will make you look good (they even did it for me). Cards – UniversalWeddingCard.com. Their staff did a good job with a very quick turn around. Venue for Reception – Sheraton Primere of Tysons Corner. Ask for Shaier Heidar. I know many Indians who wish to choose the Hilton at Dulles. Personally, I’d avoid it all costs. DJing/Lighting – EventEQ. Simply the best team in the DC area for all lighting and DJing. You will not be disappointed when they make your whole reception look like a private concert. I worked through DJ Jag, but their whole team is great. DJ Lucky at Platinum Productions was used for our Saturday lunch reception, and his team rocks as well. Two excellent vendors to work with. Decorations – L’Ambiance in DC did a nice job for our Sunday reception. 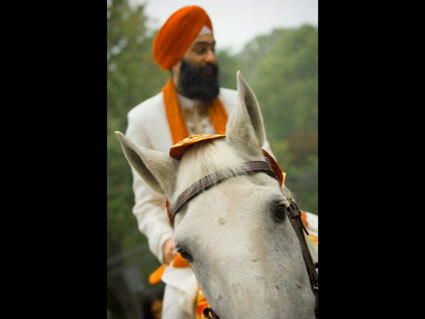 Rabbi Shergill - The Man! 23 years later, the wounds are not healed. Sorry dude, you asked for it.